(Leah Hogsten | Tribune file photo) Rep. Mike Winder, R-West Valley City, is congratulated by his sister and Salt Lake County Councilwoman Aimee Winder Newton at the Salt Lake County Republican Party Organizing Convention at Cottonwood High School, April 14, 2018. Add another name to the growing list of potential Utah gubernatorial candidates in the 2020 election. 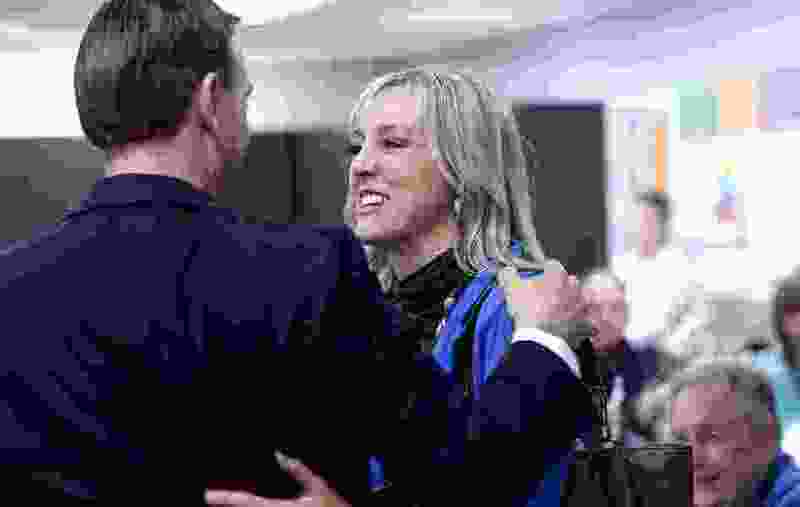 Salt Lake County Councilwoman Aimee Winder Newton confirmed to FOX 13 that she is considering a run, though she said she has not yet made a decision. She was just re-elected to a second term on the council. Newton’s potential candidacy was first reported by the political website UtahPolicy.com. She joins a crowded field of possible hopefuls, spurred by Gov. Gary Herbert’s comment that he would not seek re-election. The list includes Lt. Gov. Spencer Cox, former Utah House Speaker Greg Hughes, Utah Attorney General Sean Reyes, former congressman Jason Chaffetz and Utah Jazz CEO Greg Miller. To read more, you can find the full FOX 13 story here.